Photo: Deutsche Bahn AG / Martin Busbach. 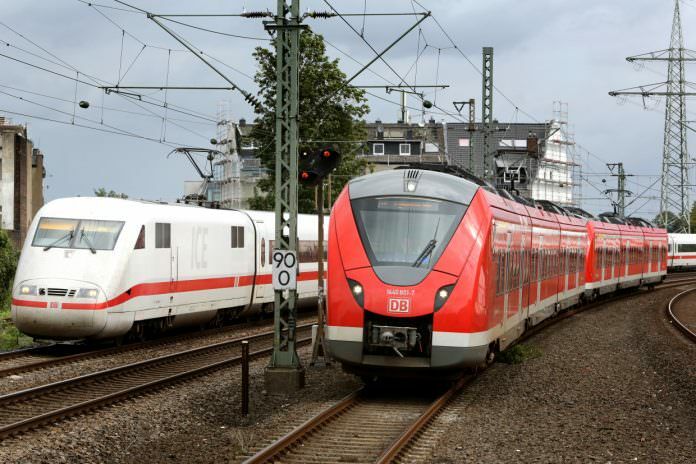 DB Regio Bayern and Alstom have agreed an order for 27 additional Coradia EMUs for the Nuremberg S-Bahn. Alstom will deliver the new trains in 2020 for use on lines S3, S4 and what will become the S5 line. Jochen Slabon, head of regional transport at Alstom Transport Deutschland, and Hansrüdiger Fritz, chairman of DB Regio Bayern, signed the contract today (March 29). DB Regio Bayern was awarded both lots for the new S-Bahn concession, which begins in December 2018, last year after National Express withdrew, having been chosen as the preferred operator. Once in service, the new units will be maintained at DB Regio’s Nuremberg-Gostenhof depot. In the meantime, the existing fleet of Bombardier Talent 2 EMUs will continue to operate on lines S1, S3 and S4. Each of the new units has a capacity for up to 230 seated passengers – although a train will consist of two units coupled together. To improve boarding and alighting, the trains will also have an extendable step to bridge the gap between the platform edge and the train.